Today’s threat landscape has created new challenges for security analysts and incident responders, as the number of alerts and their complexity have increased significantly. Organizations with small IT teams are overwhelmed, often lacking the time or resources to investigate every alert. Failing to do so means a high-risk threat might go unnoticed. This can result in a devastating breach, damaging an organization's finances and reputation. 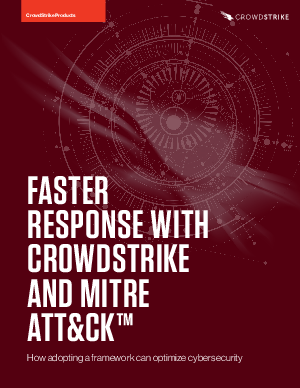 This white paper discusses how CrowdStrike is solving these challenges, by implementing the MITRE ATT&CK™ Framework across multiple CrowdStrike processes and product features to help improve analyst’s productivity and prevent breaches. This provides many benefits, including time savings; adding advanced context to security alerts and information; and enabling a common, shared language. However, it also provides some hidden advantages, especially concerning cybersecurity.